Mulberry paper leaves from Wild Orchid Crafts. 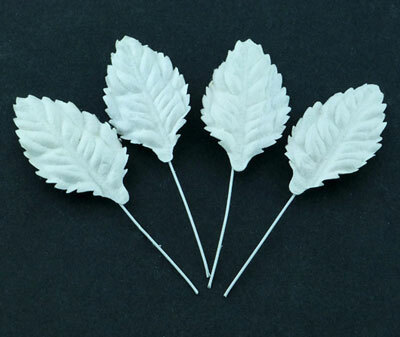 These beautiful white leaves are hand made from very fine mulberry paper. Each leaf measures approximately 30mm.